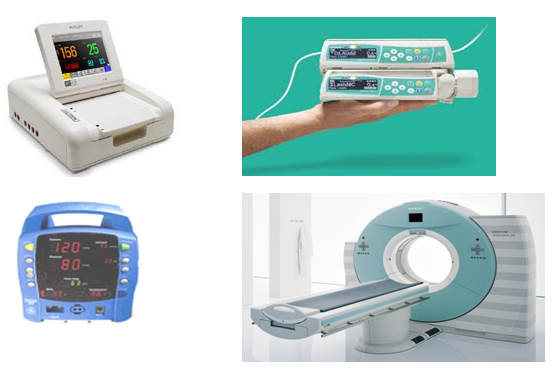 The basic scope of IEC 60601-1 is safety of patient, user and the equipment. Before launch of the Medical equipment in the market , It must be be tested as per the safety standard. All the accessories used with the equipment must be tested as per Particular standard IEC 60601-2-X series. It is also a mandatory standard for CE, UL and CSA marking. Class 1 equipment relies on a protective earth. Class 2 equipment relies on double layers of insulation. Why IEC 60601-1 is Important? It ensure the safety of operator, patient and equipment itself. Below are some of the risks associated with such equipment. Extravagant currents result in an electrical shock to the user or patient, to overcome this hazard, safety standards are introduced . Exceptionally high currents passing through the body cause tissue heating.Cutting, Coagulation and Physiotherapy Ultrasound are controlled uses of this effect. High-frequency surgical equipment may burn the operator/ patient. Due to abnormal working of incubation,high frequency surgical equipment increase in temperature of Medical Equipment. An increase of respiratory via pressure caused by an abnormal working of ventilators. Robustness of the enclosure- It must be strong enough to be used normally without any mechanical damage. Earthing: It must be earthed properly so that there is no Leakage of current and must be electrical shock proof. Protective Earthing (PE) is a usual way to reduce electrical hazards by making a low resistance path in the case of a fault. Double insulated equipment does not require a safety earth because no mains parts are accessible. Single Fault Condition: It must work safe in normal condition and also remain safe during single fault condition .